livinghistory.ie • View topic - viking glaive, finally ? So, ages back I was asking about any references to a viking glaive (the Atgeir) in an Irish context. The answer is... maybe! 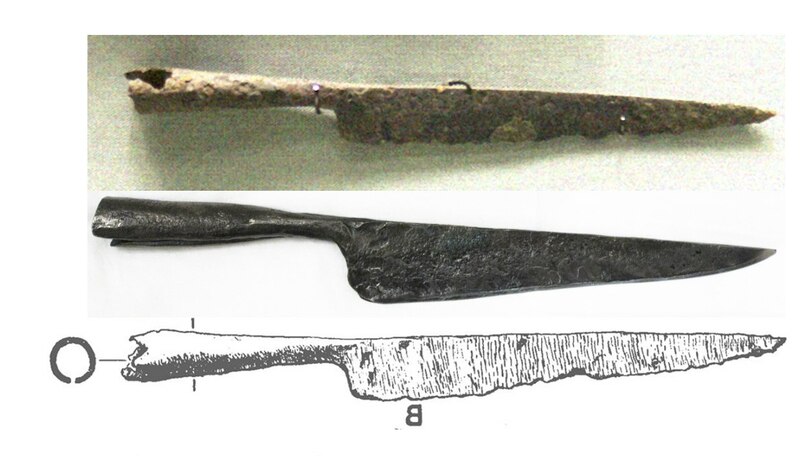 Seems a number of (well, two..) long-bladed single-edge spearheads were found around Dublin, including one with a 228mm blade in Islandbridge (11thC) and a 115mm one from Ballinderry Crannog (9thC)! They were called 'socketed knives' in the archeological description, I think the 228mm one must be *way* too big for a domestic use. Most references of the Atgeir were either England in the 9thC or 8thC Sweden. However, I don't have a photo or drawing of the Islandbridge find. Anyone know where I'd look ? It seems it's at least mentioned by O'Floinn in "The Archaeology of early viking age Ireland", but I can't find a copy online anywhere (and don't have any cool acedemic library access). I did find some mention that it was made of bronze, which is...amazing. Does anyone know of complete finds, with a 'socketed knife', where we see a short handle, that means it's not for military use, but a gardening tool or similar ? Re: viking glaive, finally ? John. Any chance that the finds were scramasax? How 'socketed' were they? Details are pretty light in anything I've read; sockets are usually used when there is a risk of the tang being damaged. Most incendary arrowheads are socketed, as are spearheads. It's hard to damage the handle/tang of a seax, though Paul & Neil from Fainne Fíain did manage to destroy mine in an hour or so one day. If I could see one, I'd know if was a seax or not. So..show me photos! 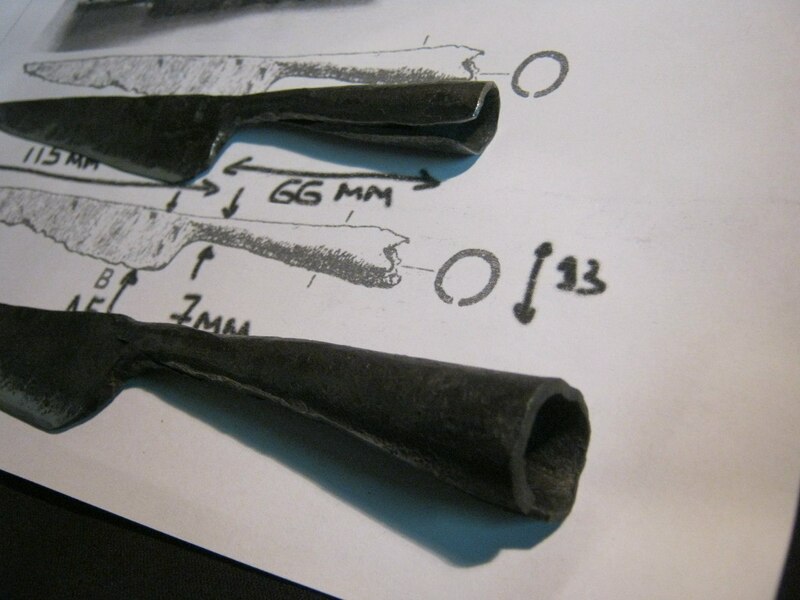 Seen another socketed single edge knife somewhere (read way too many archaeological reports), but can't recall where. I do remember that it was interpreted as an early form of hedging bill, rather than a weapon. Mind you, I remember finding a plough coulter in a report which had been wrongly interpreted by the finder as a scramaseax. A couple of Islandbridge finds are on display at NMI, as well as the find from Ballinderry I. Our friend-blacksmith has made a couple of such devices for us, based on Ballinderry sizing. Cracking work lads. Well done. Thanks, Billy. I'll pass your kind words to Ros, the blacksmith.